Fans of the musician Prince were distressed to learn of his untimely passing last week. News reports now circulating have noted that Prince died without a Will. This post will address the implications of dying without a Will. As this firm is located in New York State, this post will address this issue from the standpoint of the law in New York. When a person dies without a Will, an Administration proceeding is conducted. Such a proceeding is undertaken in Surrogate’s Court. The attorney for the surviving relative files a Petition in the proceeding. The surviving relative of the closest relationship will apply to be Administrator of the estate. In Prince’s case, we have heard that he was not survived by a spouse, children, or parents, making his sister the first person to be qualified to be Administrator of the estate. Both New York and Minnesota provide that half-siblings are ranked in a similar fashion, so that half-siblings may potentially share in the administration duties of the sister who filed the Petition. When significant sums of money are at stake, a kinship proceeding may also be filed to determine whether other relatives should be given the opportunity to share in the estate. Once the proper fiduciary is appointed by the Court, particular duties need to be undertaken. What if Prince’s doves continue to cry after his death? If he had a Will, his pets could have been provided for in his estate plan. Absent such provisions, any pets would become the property of the person(s) appointed administrators. For pet lovers, this disposition could become a major problem if the person receiving the pets has no interest in taking care of beloved animals. Prince’s Little Red Corvette must also be considered. In New York, personal property could be specifically identified in a Will as a specific bequest, left in the residuary clause for the person intended to inherit all unspecified property or will be left to the person qualifying as Administrator if there is no Will. It is not unusual for wealthy people to own property in more than one state or country. The Administrator will most likely need to apply for ancillary letters of Administration in the additional locations in order to dispose of the property. It is rumored that Prince’s estate had a vault containing unreleased music. This could be a treasure trove of copyright legal issues. It is ironic that Prince was supposedly so careful in the control of his image and music distribution, yet he did not have a Will that designated the person responsible for his posthumous music distribution. Instead, one of more of his siblings, who presumably have no specialized knowledge, may manage this lucrative project. 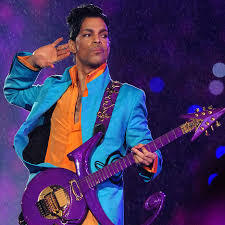 Prince would have been better served if he had located a law firm with an estate practice to draft his Will and possible Trust to address inevitable copyright matters. He could have selected an individual with particular knowledge of copyright law, music distribution and the like to manage this portion of his assets. Relatively young clients tend to think that they can just “go crazy” and “party like it’s 1999” without planning for the future. They are under the mistaken impression that they can always get around to working with a qualified attorney because nothing will happen to them anytime soon. We would welcome being selected as your professional to assist in identifying and documenting your estate goals.